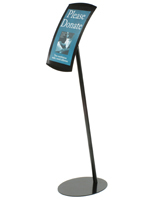 Are you looking for sign stands to place in your lobby, outside on a sidewalk or by a trade show booth at your next expo? 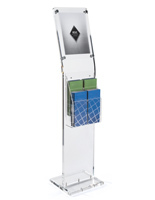 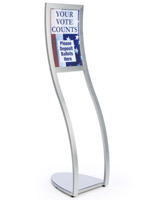 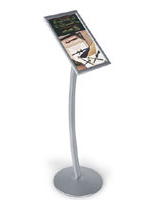 We carry a huge line of freestanding graphics holders for all your poster display needs. 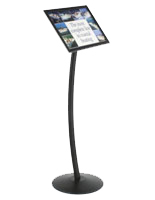 The sign stands, also known as signage displays, are specifically crafted to hold custom promotional material for your business. 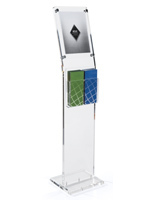 Because quality and longevity of use is of utmost importance to us, we craft our freestanding displays from highly durable aluminum and metal. 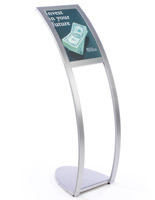 The circular bases are weighted to provide the most stable structure for your signs to prevent toppling or tipping in high-traffic areas. 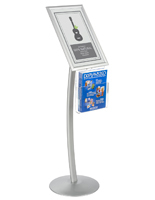 The simple snap-open or slide-in design makes it a breeze to quickly update or change your advertisements even as often as every day. 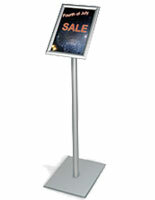 Highlight sales, promotions, specials or just provide your guests with information about your services or business model. 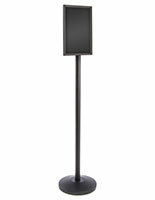 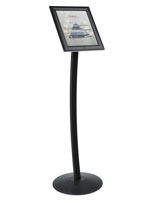 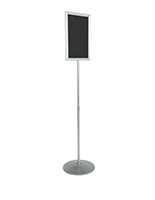 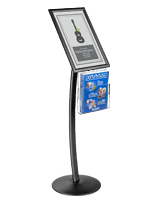 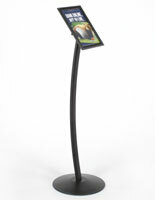 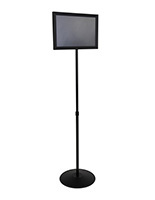 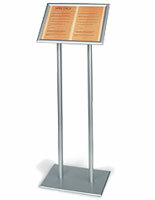 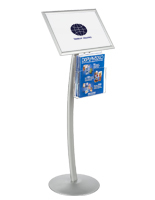 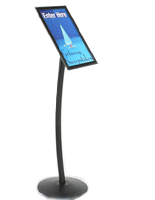 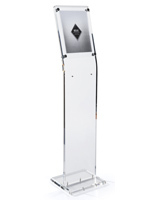 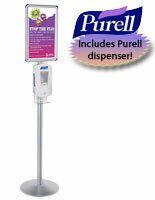 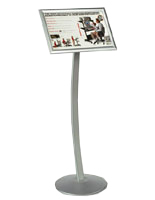 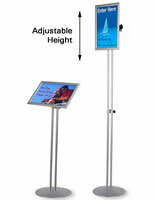 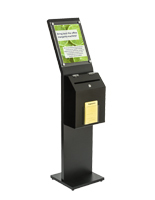 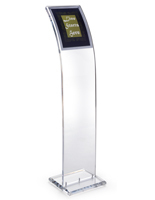 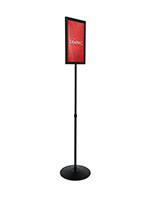 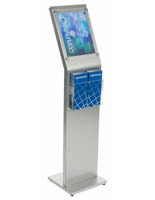 We also offer sign stands that come equipped with trays or pockets for flyers, pamphlets and brochures. 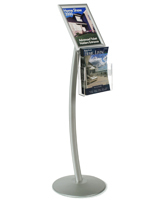 Place reading material for your guests within the holders and allow them the option to further browse products or services away from your store or booth. 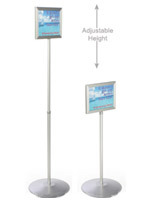 Where can these signage displays be used most effectively? 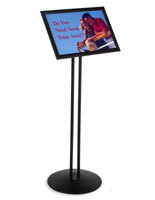 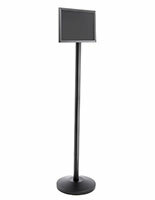 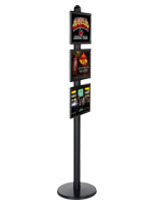 These sign stands are best used in high-traffic areas where catching customer’s or potential guest’s attention is crucial. 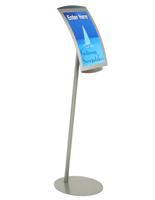 Office lobbies, waiting areas or entrance ways are the perfect place for the promotional holders as they are the first thing guests would see upon arriving. 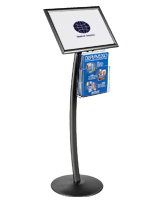 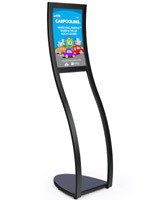 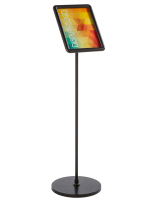 Stores, boutiques, malls and other retail locations can place these freestanding displays in areas where sales are being advertised or by cash registers to promote upcoming specials and deals. 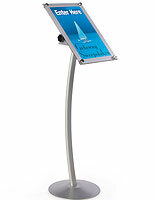 Restaurants and other eateries can place these stands in waiting areas to hold copies of the menu, drink lists or specials. 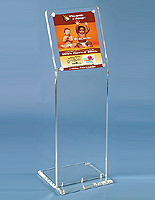 Despite the durable construction, these holders are also portable making them ideal for trade show and exhibition use. 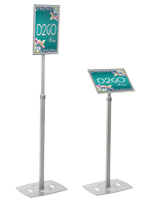 Place the units on sidewalks to attract potential customers. 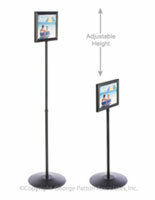 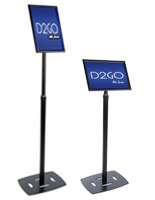 These signage displays are the perfect addition to any retail, business, or trade show setting. 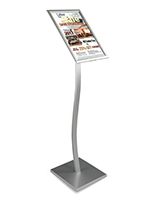 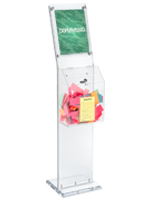 They are designed to save valuable floor space while also providing a place for flyers and other take-away literature. 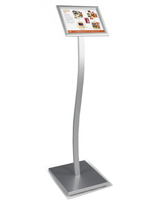 Choose from a variety of finishes and styles that best meets the needs of your business. 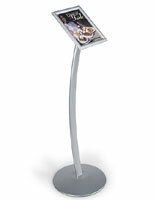 Some models include a clear lens which makes them suitable for outdoor use even in inclement weather. 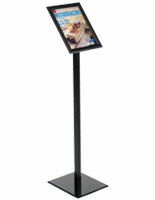 The ready-made stands are easy to assemble and to use with the snap-open or slide-in frame designs. 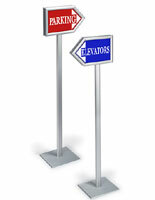 Choose your custom graphics, logos or other literature and update your signage as often as you’d like. 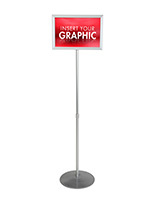 Order from AllPosterFrames.com today and receive same-day shipping on orders placed before 2 P.M. EST and enjoy paying wholesale prices for all your sign display needs!